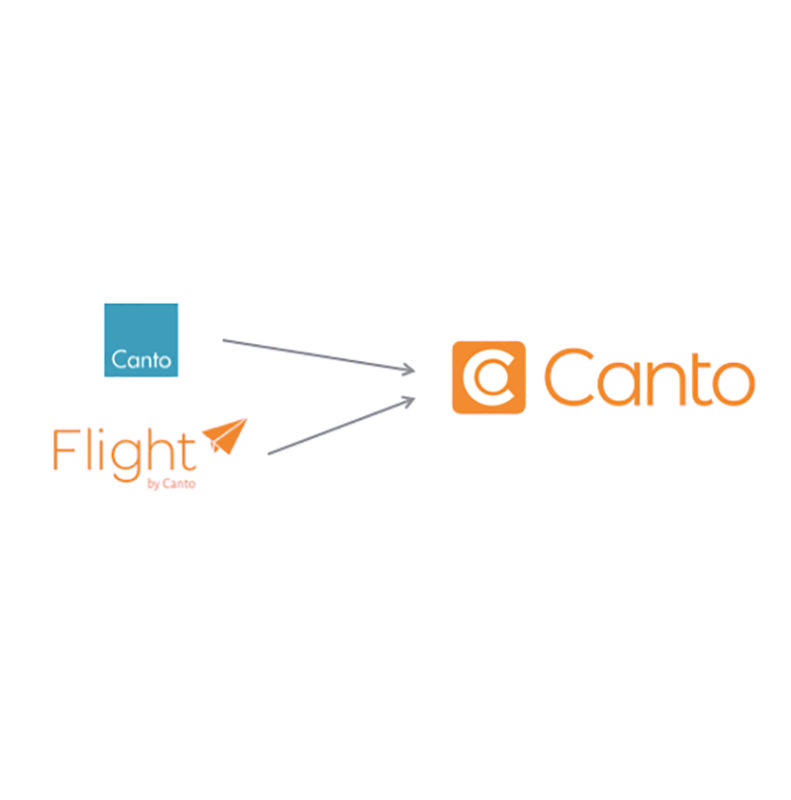 Today, Jack McGannon, CEO of Canto, announced that, moving forward Canto will now refer not only to the company name but also to their SaaS digital asset management product formerly know as “Flight by Canto” or “Flight”. We believe it’s an exciting change that will simplify the user experience – by keeping the product and company name as one. Your trusted digital asset management software you rely on to manage your organisation’s modern media/ image library will offer the same great benefits. 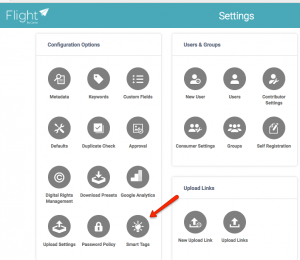 Active customer accounts will shift from companyname.cantoflight.com to companyname.canto.com. You may start to login today to your new shorter .canto.com URL. Please note that both URLs will work in parallel during a transition period. A series of notifications will be given in advance, prior to sunsetting the cantoflight.com access in the coming months. Since Canto (Flight) first took flight in 2015 there have been constant improvements, updates and new features added. Last year we looked back at the top features introduced during 2016. 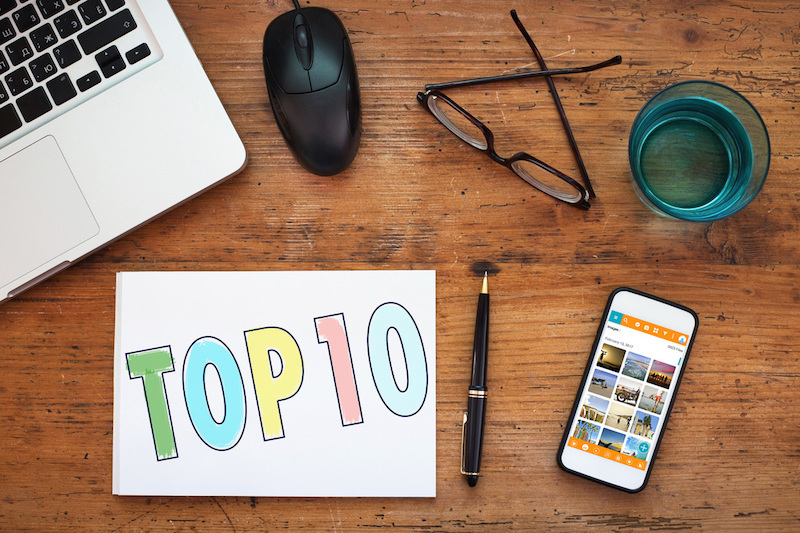 This time we have chosen top Canto features to date, in our opinion. What’s your all-time favourite Canto feature? Always seems to be chosen as the top feature – the ease-of-use and visual appeal seem to be the winners for everyone. The general User Experience improves with every new release. In our previous Top features of 2016 post, we missed the last update of 2016 – PHL that introduced a whole new look and functionalities to the interface. There is All Files view option, bulk options, view metadata information in preview mode, add or rename albums and folders easily. The interface is very intuitive, simple and easy to use. Mobile Accessibility. This on-the-go experience provides responsive design – mobile-responsive interface, sharing and uploading from your any device. More here LHR. Mouse-over preview. See a larger preview by simply hovering your mouse over the thumbnail in list, masonry or thumbnail views is the newest Flight featured released Nov 2017 with the Flight SYD update. Do you really want the entire video or is only a small section important? Under Advanced Download options, you can download a small clip of the video, just select start and end times, then preview the clip before download. Click here for more LHR. This new feature was introduced in LHR. With this Canto made it possible for anyone to integrate content in Flight with any other web channel, website, social media, blog whatever. It’s never been easier to share content with Flight. We found it so exciting that we created a whole blog post about it. This is tagging for free! Built on Amazon Web Services (AWS) Rekognition, Flight can now detect objects and other things in an image, and automatically attach relevant tags to each asset. Making it so much easier to find just the right image. Saves time and money. More here CDG. So simple and so easy to use, group together files that are related to the same project, campaign, or theme. Makes organising your content much more intuitive. See all related files in a file’s preview information page. More here ORD. This makes it possible for you to have as many people as you like contribute content into Flight! Your external agencies, photographers or other independent providers who don’t have access to Flight can use these links to upload files. All this without losing control over your content. Uploaded content needs to be approved by an administrator before it enters the main library. More here ORD. Sharing is what it’s all about really. With Flight it’s as easy as clicking a button to take your content to whatever share channel you like. With great options like enable download, watermarks, expiry date, sharing is not only easy but powerful. Then just like Upload Links you can share to as many people as you like! How much of an image do you want … the whole of it or just a bit? 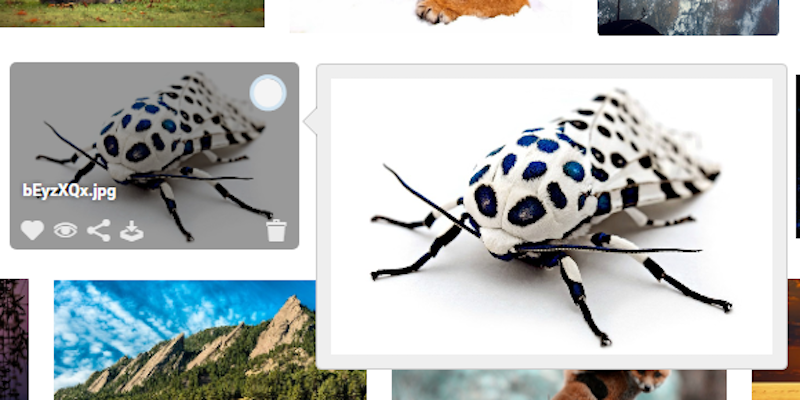 With Flight you can crop and resize an image when you download it. We’re not replacing Photoshop here … but eh! This is what a lot of people would like to do who don’t have an image editing tool. All this for free with Flight. Keep your favourite files in your own personal collection. Simply click the Heart icon and the file will be added to your personal collection of choice. Great for tracking content you are referring to often, a grab bag for a project you are working on … or maybe you need to come back to these images later? More here MIA. Now this is really cool and takes you into a whole new dimension! Now with Flight you can have a separate brand portal to share and control your brand. Simple and easy to setup this gives you sooo much more value from your investment in Flight. We’ve been so impressed with Branded Portals we created a whole blog and webinar about this one topic, click here for more. Then even more??? YES! With the latest SYD Sydney release Canto extended brand portals even further. Is this crazy or what! 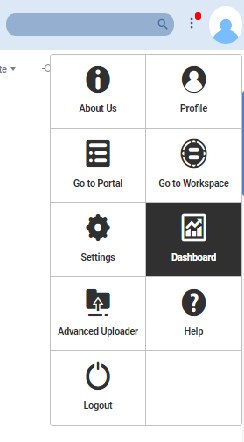 Custom branding for Portals was introduced in the FCO update. 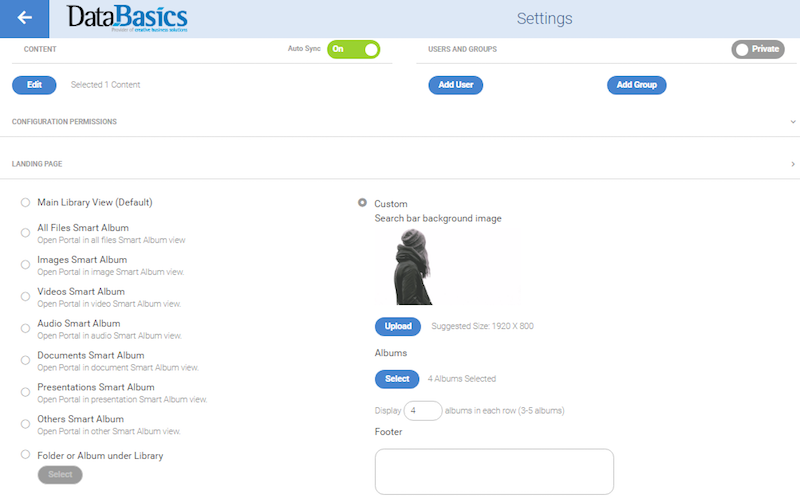 Create a good-looking portal landing page with albums and search displayed right in front of you. Great if you need to create several differently branded portals for different purposes or for different clients. See our to branding dedicated blog post here. The latest Flight update – SYD has even more customisation options. Including different layouts and album titles. Flight just keeps getting better and better and the Flight team at Canto really listens to their customers. We are excited to see what 2018 will bring! Are you? What else are you looking forward to in Flight? You can watch our recorded webinar here. There are a few things to think about when trying to migrate data from one digital asset management system to another. You want to ensure that metadata associated with digital assets is preserved. Depending on a file format or a previous storage system, some assets have metadata embedded, some have an attached file or have metadata stored separately. 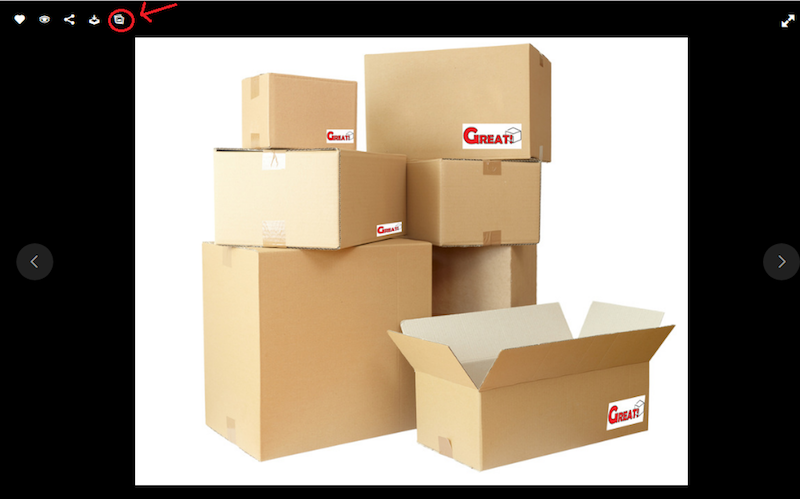 DataBasics is often asked to help with data migration. 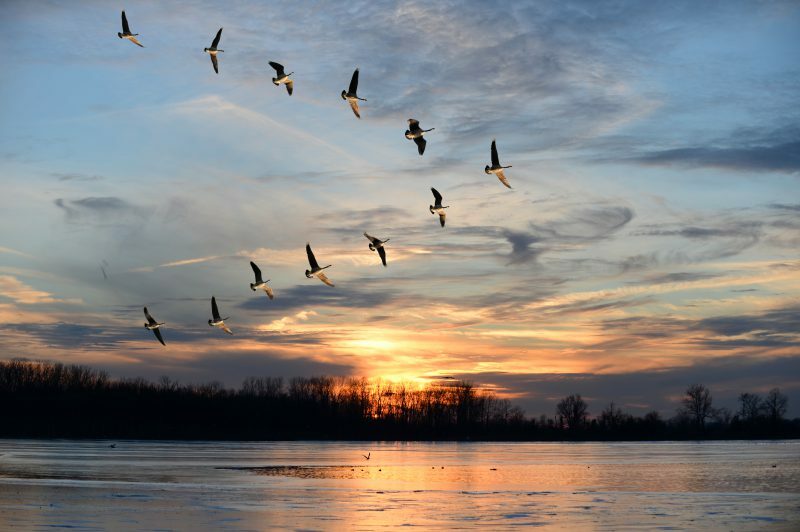 To determine basic requirements for data migration there are a few things we need to know. What is the total size of file/s to be uploaded? Is there any additional metadata that needs to be exported/ imported? How is the metadata currently used? What migration options are there? 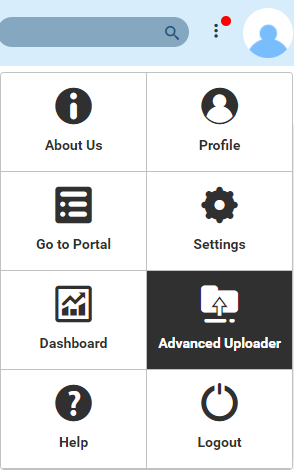 Advanced Uploader – allows bulk upload of assets from a customer’s existing file system. Note: Advanced Uploader will not work with Chrome as it doesn’t support Java. It works on IE in Windows, Safari in Mac, Mozilla Firefox. Canto Express (Uploader application on MacOS) – works like Advanced Uploader but has been designed from the ground up to work with MacOS and provides an intuitive way to upload assets. Note: The application can be downloaded from App Store when searching for “Canto Express”. Due to the nature of Canto, folder structures will be recreated as albums. Each subsequent folder will be created as an album stored within the original folder. Cloud Storage Integration – Canto has integration with: Google Drive, Box and Dropbox. Customers using these services will find the process of transferring data to Canto simple and intuitive. Please note: Your data may be presented differently. But all search capabilities should be maintained. Existing embedded metadata will be extracted as part of the upload process. If any additional metadata is required, the metadata will need to be saved to a csv file and each field will need to be created as a custom field in Canto settings, once this is completed, import the csv to Canto using Metadata Importer found in the Settings. This metadata will then be applied to the corresponding images. For any additional questions please contact databasics at info@databasics.com.au or call 1300 886 238. *Please note: as of May 22, Flight is now Canto. All references to Flight in this article refer to Canto. Do I use the red-on-white or white-on-red logo? Where do I find it? What font do I have to use? Brand management ensures that your brand assets are consistent, aligned, readily accessible and appropriately used. How can you align your brand assets to your brand management guidelines, brand strategy and approved usage? This article will discuss the importance of creating a consistent message with brand management guidelines and how you can do all that with the help of Flight – Canto’s SaaS digital asset management solution. Visit our Flight Demo Brand Portal for Great! brand (a brand we created to showcase Flight possibilities). And register for our upcoming webinar: Brand Management with Flight Nov 14th 11AEDT. 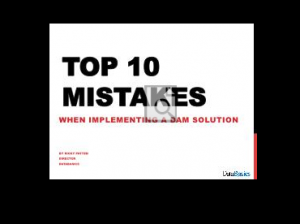 Why not start with branding your own DAM library? Tell your company’s story right from the start. The more branded your DAM solution is, the more people will connect with it and use it. Maintain your brand standards with customising the main Media Library. 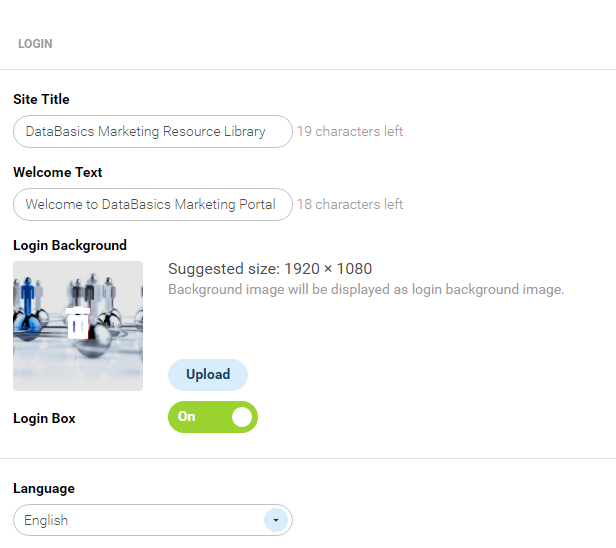 In Flight, administrators can apply a logo, choose colour theme, upload an appropriate brand image, create a title for your Library (for example, DataBasics Marketing Resource Library), as well as a welcome message. Like an extension to DAM, a Portal is a web page that provides an easy access to select range of content to a specific target group of users, allowing the functionality you want and the overall look and feel that is required in a fantastic, good-looking interface that is easy to use. For example, your Flight solution might contain range of content from work-in-progress through to finished content for access by your staff. Then – to make brand content available to the people you work with – you can create a Portal to share out only the brand content. You don’t need to be a design guru, to create a tailored brand experience to share with your team, clients, vendors, and others. Read more on how easy it is to create custom-branded good-looking publishing portals below. Decide if you would like your portal to be public or private. Private portals would require login and would only be accessible to select users. Public portals require no login and are limited to only viewing, downloading and sharing. With Portals you provide access to select assets from your main library. (Don’t forget to mark the assets “approved” when adding them to your portal). Administrators can configure permissions by allowing specific features in a Portal. Establish privileges for sharing, editing, downloading, uploading, and adding watermarks. No need for email attachments. Share directly from your branded Portal with remote team members, outside agencies and collaborators. Great to distribute brand assets for review and approval. Create your brand identity and ensure your branding stays consistent. Determine the look and branding of the portal interface and portal landing page. The brand identity can reflect that of your own brand or that of a client, allowing for agencies to collaborate through multiple branded portals. This means you can work in different portals that represent different brands. At DataBasics we have created several different portals to share resources with partners, potential customers, to collaborate with our team, and to share brand guidelines. Each of the portals has been branded differently, and has different functions. Take a look at our sample Great! brand portal here. To customise your portal landing page and interface go to Settings – Portals (click on a portal you would like to customise) – select Landing Page or Custom Branding. Use Flight not only to share your media assets but also your brand guidelines. Upload you brand guidelines as a document, presentation or video. Share with both internal and external team members, and collaborators will be able to reference the various rules that help keep your brand’s message consistent. Having your brand guidelines listed in a central location will provide a single source of truth to explain crucial information about how your brand is presented across all channels, allowing easy access to everyone who needs them around the world 24/7. Add copyright information, Terms and Conditions, and watermarks to your assets. 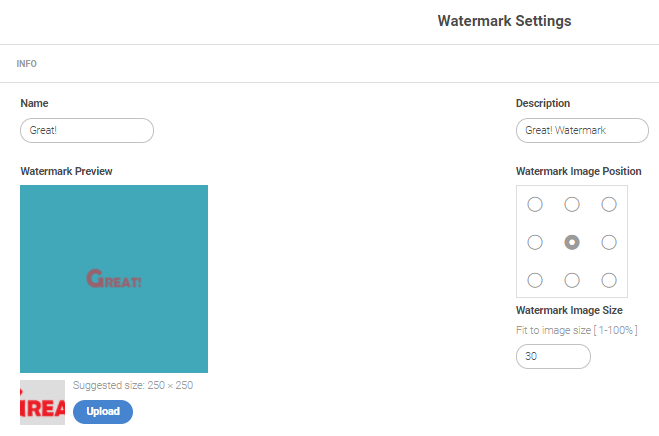 You can select watermark position and size. 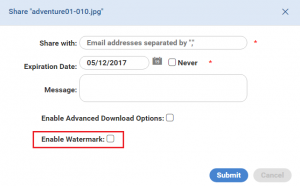 Add watermark as you are sharing an asset – share through an email or collection link and just click “Enable Watermark”. Admin can upload a watermark image under DRM Settings. You can add hyperlinked Terms and Conditions, which would take the person to the linked T&C page when clicked on the link. In Flight, admin can see how brand assets are being used, and determine who is able to view, download, edit, and share stored files. For more in-depth reports you can go to Settings – Account Settings – Reports. Flight is not only the best place to share your digital assets, but it’s also an excellent place to create a consistent brand image, to share your brand guidelines and to control how your brand assets are used and distributed. Again Canto has delivered some cool and exciting new and improved features with the latest Flight update – Flight CDG. Currently only available in US and Europe (this may update soon). This exciting feature is based on AWS Rekognition – Flight can now automatically attach tags to an image after detecting objects and other details in an image. After Smart tags are activated the admin can set a number of smart tags to be displayed, and set the accuracy of smart tags. You are able to preview the whole PPT document before you download or share. Just click on the magnifying glass in the middle. For extra security, Flight CDG offers set up of password policy. 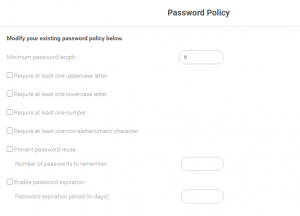 You can apply different rules for all passwords to follow. A popular new feature makes adding watermarks so much more easier. 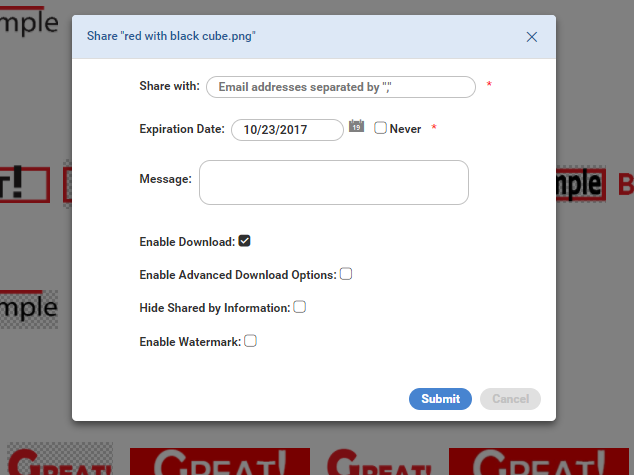 When sharing a file just select Enable Watermark. Administrator is able to change settings for private portal enabling or disabling download option. 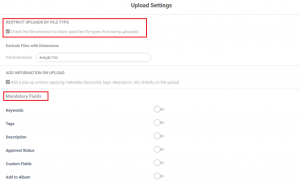 Make certain metadata fields required during upload, and block specified file types from being uploaded. Choose from 3 crop options – 16:9, 4:3 or 1:1. The file will be automatically converted. Or keep original size. 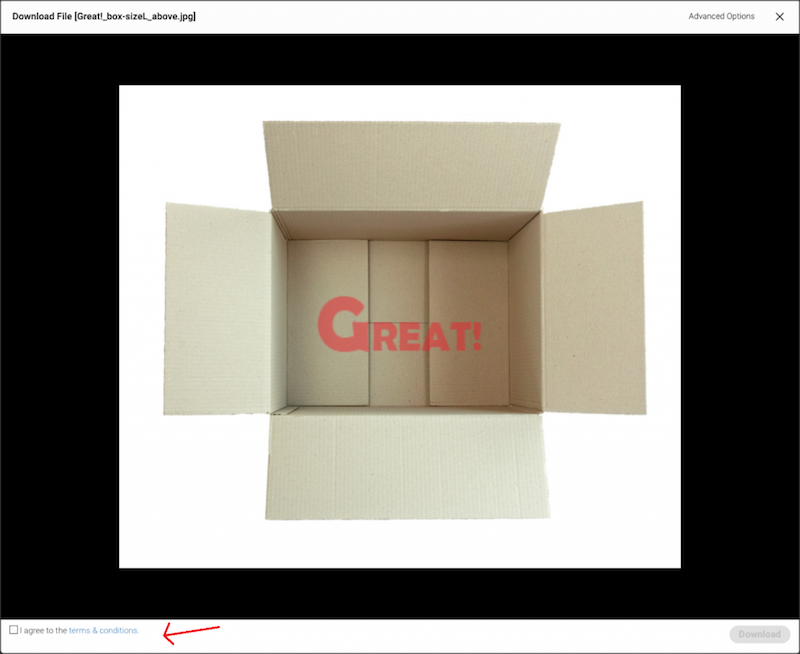 You can also crop a custom size by dragging the corners of the crop box, or entering values in the size boxes. 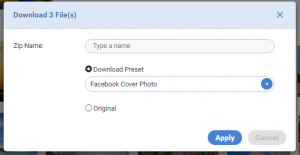 When selecting to download multiple assets you get an option for download presets or original. In our opinion, one of the most exciting new features of Flight (released with Flight LHR update) is the direct URLs of images and videos that you can find in the details view of an image or video. Direct URLs are useful for fast sharing and accessing of images and videos around the world. Preview any file (including RAW, .avi, .CR2, .psd) immediately in your browser, without having to look for a specific file converter. The file gets automatically converted to a web viewable/ playable format. You would use this most frequently when working with media content stored in Flight that you want to use in your website. The Flight direct URL interface provides a simple three step process to integrate with any CMS you might be using to build your website. So simple and straight forward that it will only take minutes getting used to this and you won’t know how you did without it. Please note: all images and the video in this blog post were inserted using direct URL. Did I say how fast and easy that was? If your website is more like a retail catalogue with lots of images of products for example then with some simple scripting an export file can be produced from Flight with a product identifier and the direct URL ready to go. You could import this into your eCommerce system to automatically generate pages of content. 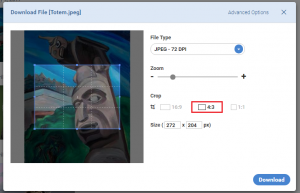 With the Preview image URL, you can resize the image right in your browser by changing the pixel number at the end of the URL. No need to have two or more files taking up the storage space. No need to Save As saving you arduous process of preparing all the imagery for your website. With the Original File you can preview, place, and share the image in its original size without having to download the file. Use it to share or embed your video files (any file type) without having to save them first. Just use the direct URL. Place the video URL directly in your html page. An example of an .avi file being embedded into WP blog post below. Facing an issue of finding approved content, with Flight’s inbuilt approval process you are assured that the content you are sharing is suitable for your purposes. All a Flight admin needs to do is set up a portal for approved content for all consumers to have free and easy access to. 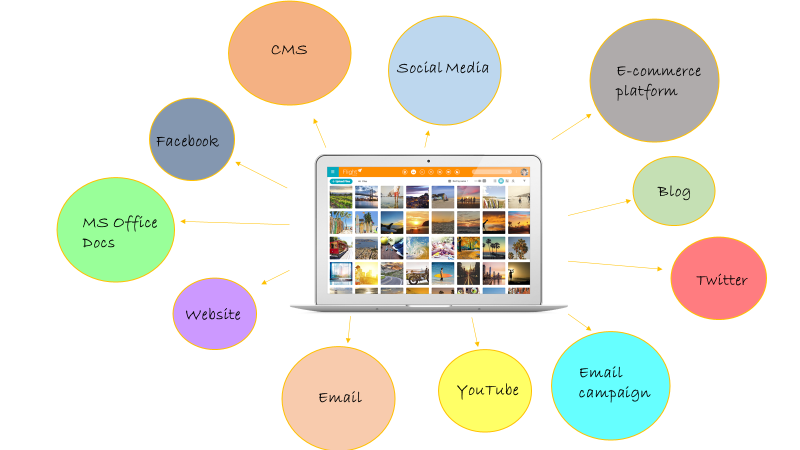 By storing your content in Flight you will be able to keep your assets in one central location and be able to use them in various marketing channels. Your team will benefit from being easily able to locate content and quickly use it as needed. Your ITs will love you as you’re no longer storing masses of content on file servers with much of the content duplicates that no one knows how they got there. Your management will be able to take new business opportunities provided by faster usage of content in a more controlled environment.